The software testing industry is a niche segment of the IT sector and it is dominated by large Indian companies. Players include Wipro Ltd, a public-listed software company based in Bangalore (the Silicon Valley of India), and Tata Consultancy Services, a billion-dollar company that provides a range of IT services in more than 40 countries. These companies have created a strong brand name and solid track record for themselves. A local firm, without sufficient expertise and funding, would be fighting an uphill battle if it entered the space and attempted to wrest market share from the big boys. But that is just what Norhayati Suzari did. 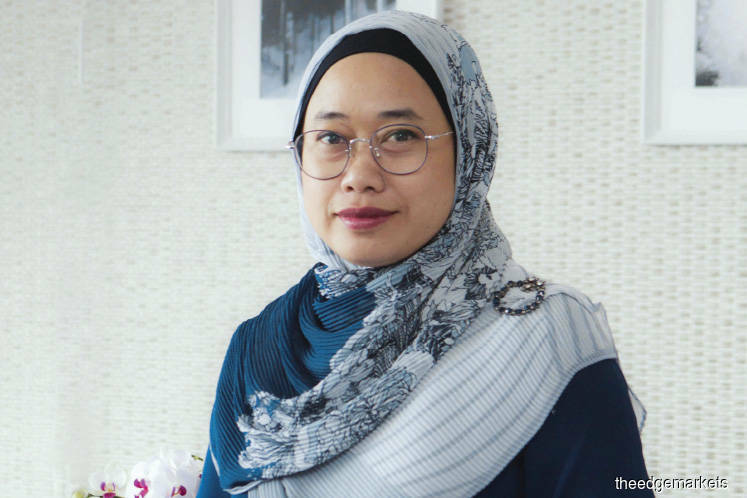 The founder of Testbits Sdn Bhd — a petite woman who hails from a small village in Kuala Kangsar, Perak — was unfazed by the enormity of the challenge or the size of the big boys. After 16 years in the job market, she decided to branch out on her own and managed to secure a RM1 million contract from Celcom Axiata Bhd last year to test its software. It was her first major breakthrough in two years. It was truly a David and Goliath situation. With fewer than a dozen employees, Norhayati had to convince Celcom that Testbits could do the job as well as, if not better than, the large companies. During her presentation, she brought out this knowledge. “I told Celcom what it had done well and what it was lacking. Then, I offered our testing solutions and explained how these could improve its processes. This was something no one had done and we won the contract,” Norhayati tells Enterprise. Winning the contract proved to be a turning point for the company. This was the first time it had brought in more than RM1 million in revenue and actually made a profit. The company was also able to increase its headcount from 8 to 23. This year, it aims to renew its contract with Celcom and win other jobs. “It is tough, but I am hoping that with enough exposure, a strong portfolio and some success stories, we can succeed,” says Norhayati. Sealing the deal gave her a much-needed boost of confidence. As someone with a strong technical and operational background, she had been wondering whether she had what it took to make it as an entrepreneur. “I was not worried about operational problems, but whether I could fit into the business world. If you are not rich or famous like, say, Elon Musk, you have to create a charming persona to win business and the hearts of investors,” says Norhayati. Norhayati — the eighth of nine children of a rubber tapper and a tailor — was among the fortunate one to receive proper education due to the sacrifices made by three of her elder siblings. Her brothers and sisters had to start working in factories and schools at an early age. Their hard work and sacrifices spurred her to study hard and make the best of herself, which led to an IT degree from the University of Malaya. Later, she would work for Monster Technologies Malaysia Sdn Bhd, a subsidiary of Monster Worldwide Inc, to set up its quality assurance team in the country. Monster was a global online employment solution outfit and its Malaysian subsidiary was tasked with developing software testing tools to reduce defects in the company’s products and services before they were rolled out. In 2009, Norhayati was transferred to Monster’s headquarters in the US. But she returned to Malaysia the following year as the US was dealing with the fallout from the 2008 global financial crisis. In 2014, she joined local IT product and service provider Mesiniaga, where she set up the software testing team. As she points out, software testing (otherwise known as quality assurance) does not make for popularity. “People do not like software testers. All the time, we are the bad guys trying to pinpoint what others (mainly software developers) have done wrong. We would ask them to follow certain processes, which to them was just so much hassle. We have to be tough to deal with them while trying to maintain a good working relationship,” she says. Norhayati’s straightforwardness usually gives people the wrong impression. They see her as someone who likes to nitpick and is difficult to deal with. In fact, even her former boss at Monster thought so, until they met face to face in the US. “He was based in the US and we communicated over WhatsApp and phone calls. Sometimes I used the wrong tone when speaking to him, which did not sit well with him. He only got to know me when I moved to the US and we started working together directly,” she says. Norhayati spent a long time feeling like a square peg trying to get into a round hole. She wondered how she could make it in the business world where, to her knowledge, people often engaged in unethical behaviour to secure contracts. “I don’t do things like this and I don’t know how to do it,” she says. Winning the Celcom contract went a long way in alleviating her fears. It was a testament to the hard work she had put in to research her potential client’s problems and come up with proper solutions. “We won it clean and I felt great,” she says. Things have never been easy for Norhayati. To start her company, she used her savings and borrowed money from her siblings, close friends and even her father-in-law. Fortunately, the software testing business does not require huge capital and the RM120,000 she raised was enough to rent a space, buy equipment (mainly laptops) and pay salaries. She ran into challenges very quickly. Some clients were late in making payments while others did not pay at all. Soon, she was facing a cash crunch and could not make payroll. Norhayati had no choice but to forego her own salary and dip into her savings to make those payments. “There were times when I could not take my salary for a couple of months. It was really tough,” she says. However, Norhayati knew it was important for an entrepreneur to stay positive in hard times because this would not be the last challenge to come her way. She read Richard Branson’s Like a Virgin to fuel her spirit and give her the impetus to carry on. “Please read the book. It is so relatable and will make you feel better. This is not a paid ad!” she jokes. Although the path has been long and winding, Norhayati does not regret taking the leap of faith to become an entrepreneur. Working in Monster had taught her to look for the right qualities in an employee. “I know how to ask the right questions and I can make a hiring decision within 15 minutes. The rest of the time is just about determining how much they are worth paying,” she says. Norhayati also appreciates her time at Mesiniaga. Her boss there, Fathil Sulaiman Ismail (currently a non-independent, non-executive director) got her involved in the company’s Product Differentiation Initiative programme, which taught her about being a salesperson — an essential trait for any successful entrepreneur. “That was my first taste of the business world. It taught me how to create a product and sell it. I had to make a sales pitch to the gurus sitting in front of me. They asked me simple questions, but I could not answer because I came from an operational background. I was being very technical, but they wanted something very simple and convincing without all the jargon,” she says. Going forward, Norhayati aims to grow the company’s revenue stream. For instance, she wants to create a platform that could onboard software testers and match them with companies that require such services. The portal would provide companies with easy access to a pool of qualified testers and help them reduce costs. “Software testing is not like software development, which usually takes three years or so. You will only need it when your product hits a certain phase. Companies could hire freelancers via the portal and pay them based on the amount of work they have done instead of hiring permanent employees,” she says. The platform could also help software testing companies like Testbits to outsource some of their work to reliable testers. However, Norhayati says there needs to be a pool of testers in the market who are ready to use the platform. That is why Testbits has partnered companies such as Planit Testing and Nopmark Consulting (software testing companies in Australia and the US), to provide fresh graduates and others who are interested in software testing with e-learning classes to become certified software testers. “The certification is recognised worldwide and costs RM2,300 to RM3,000, compared with RM6,000 if one were to attend a public classroom training for the foundation level certificate. The market is actually big if you have access to both domestic and foreign markets, especially now when cybersecurity has become such a major issue and companies want their software to be safe to use,” she says. Norhayati is looking for investors to fund the development of the platform. It has not been easy as software testing is such a niche segment that not many people understand it. She is also developing a defect tracker that would allow companies to analyse defect data and save costs. “Each company, instead of using its own defect tracker, can use ours. When a company tests its software, the detected defects are lodged in the defect-tracking system. Our defect tracker would be able to analyse the data and provide the company with useful insights,” she says. “For instance, module A was found to have 100 defects after running a test. Our product would be able to assess the quality of the product and the capability of the software developers who came up with the product. We would also be able to see which developer tends to make certain mistakes and how much it costs the company to fix those mistakes. Companies could also use it to evaluate a third-party software testing company. Norhayati’s plans extend to her own development as a leader. “My ex-bosses taught me that to become a good leader, I would have to look out for my employees — have their backs, so to speak. And it is only in doing this that they will have my back, support me and stay loyal to me,” she says. But Norhayati does not intend to become a leader at the expense of her values or by becoming a different person altogether. “I made a promise to be true to myself. It is easy to fix your weaknesses when you know yourself, rather than adopting a different personality and trying to fix something that is not there. I told my husband to tell me if he sees me changing,” she says. Software testing is a way to evaluate the functionality of a software application to find out whether it meets certain requirements and that there are no defects that could compromise its quality. A software defect could have severe consequences. A straightforward example is the recall of more than one million Nissan cars from the market in 2016 due to software failure in the airbag sensory detectors that led to the failure of airbag deployment. Another example is a mobile banking app that does not go through a proper software testing process. It could have weaknesses in its security features and expose customer data to hackers. Norhayati Suzari, founder of Testbits Sdn Bhd, likens software testing to the certificate of completion and compliance issued to a property by an independent body of professional architects and engineers. “The same goes for the software industry. Before any software is released, it should be tested by an independent software testing team to ensure that it was built using certain specifications and do not have any defects,” she says. However, Norhayati says many local companies are either not aware of software testing or prefer not to implement it. This does not benefit end users and could increase the company’s costs over the long term. “Defects could increase in time, which will cost you more,” she points out.